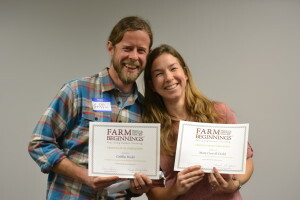 On March 5th, Farm Beginnings® pilot program graduated its first “crop” of aspiring farmers! In October 2015 OGS launched the Farm Beginnings® class with 12 farm units participating with 24 individuals. After, completing 10 classes that covered whole farm planning and topics like holistic goal setting, financial literacy, business start-up, and marketing and taught by experienced farmers about what it takes to farm in WNC, not only on the ground, but on paper with financial planning and organization. The 11th and final winter class was the time for the students to show off the work they’ve done and we were honored and excited to see the Farm Proposals and strategic business plans that evolved after 10 winter sessions . 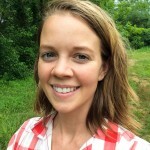 Many highlighted lessons learned from coming to class on day one with a romantic and rosy view of farming to what they now have learned about the grit, determination, patience and planning it takes to make a living farming in WNC. 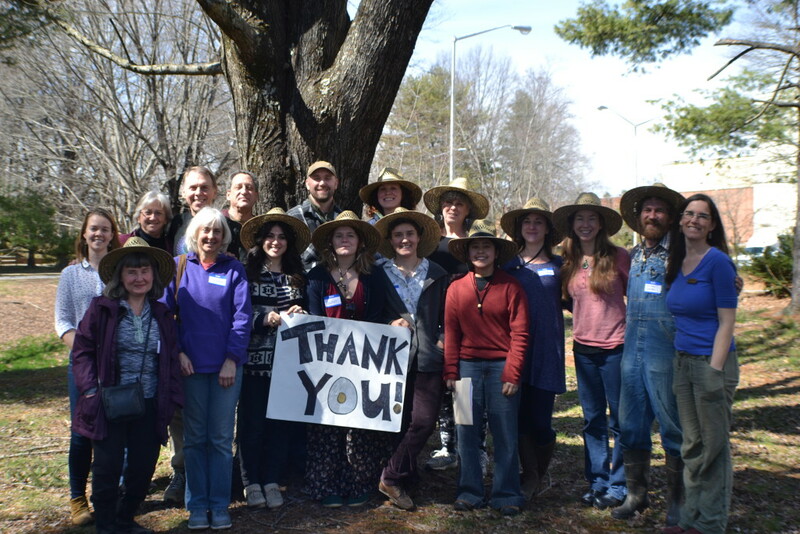 “We entered into this course with a romantic view of farming and have found that the biggest lesson has been our new understanding to the actual realities of trying to farm successfully in WNC,” said one pair of beginning farmers. 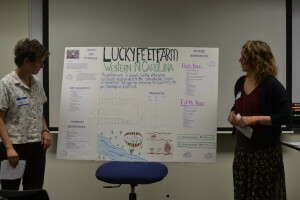 Each student presented a plan based on where they are along their farm journey, many of whom are at the aspiring and beginning stages. Some even referred to themselves as “infant” farmers! We heard about a small rabbit meat operation, on leased land with low start up costs and slow growth, aimed to support 2 people part time for the first few years. The farmers chose rabbits due to the low capital costs up front and a market demand for rabbit meat. Another project highlighted the start of a Farm to Table business that would partner with farms to offer these events to tourists. The intended goal is to educate consumers,provides agritourism experiences who visit the region for its local food culture, and frees the farmers from having to organize these types of events, and connects them with potential customers. Some graduates will be launching a mix of farm enterprises, including mixed vegetables, medicinal herbs, or forest products on land they already own or lease. A few of the participants were further along on the farming path, with more developed marketing plans, logos and buyers lined up. These operations include medicinal and culinary herb production and drying to sell to wholesalers. There is a large demand for organically grown herbs from our region and our graduates will be better positioned to provide these products. Other enterprises include small scale vegetable production to Black Mountain residents in a measured out timeframe for scaling up. A strength of the presentations was that after finishing the classes many are planning to take a slow and measured approach to their fulfill farm dreams. Rather than jumping in whole hog, they are Setting realistic and tangible goals, while also continuing to learn more about farming. The Pilot Farm Beginnings year may not be over yet (they still get to attend OGS’s Spring Conference, and are members of CRAFT) these students have crossed a major hurdle by making clear plans for learning and growing over the 5 years. And, they are well on their way to making their farm dream a reality. We wish them all the best of luck on their next phase of their farming journey!